A life event am thankful for..
We all have many life events which we remember for a long time be it birthdays, anniversaries, the day we marry, the day we fall in love for the first time, the day we have our first breakup, the day we come first in class, the day we make new friends, the day our parents gift us a new laptop or phone and many more. These are the days when we thank God for keeping us happy and contented. But as is human nature, we also remember the bad times for a variety of reasons as well. For me, one of the key life events which I have been thankful for is the fact that I got a chance to go out of my comfort zone to complete my graduation and post – graduation in India. I had always lived a sheltered and well protected life while growing up in the Sultanate of Oman. There was almost never a time when I didn’t have AC be it at home, school, malls or in cars. There was almost never a time when my parents weren’t around for their support in anything and everything I wanted. Most importantly, there was no pollution – water, air, noise whatsoever. Movie character I would like to play.. There are so many of us who eat, sleep and drink movies all the time be it Bollywood or Hollywood. We dream of living the characters, their lives, having lavish lifestyles like theirs and more. There are so many moments when we laugh and cry along with them. In those 3 hours, we live through their lives many a time thinking aloud on how life would be if it were a movie. If I had the chance to be a character in a movie, I would look no further than Ranchoddas Shamaldas Chanchad or Rancho from the 2009 Bollywood smashit 3 Idiots. The flick raises several issues in a satirical way on our education system like rote learning and the lack of application of the theoretical concepts in general work-life. The art of being yourself..
There’s constant pressure on us by friends, family or our peers to be someone else. It all starts from the point of improving oneself in relation to the competition. While some level of competition is good, things get to a head when this is replaced by a craziness to improve something which doesn’t actually need any changing. While we are always taught to be better at what we do and keep improving constantly, there always comes a time when a line has to be drawn. That is the time when it has to be recognized that there’s only a certain level of excellence which an individual can reach. That excellence maybe exhibited differently in different individuals. If that is changed too much, then things can only get worse for everyone involved. Guiding forces of our lives.. Whether professional or personal, all of us look to our friends and family for advice and support in some form or the other at different stages in our lives. Why do we do so? Is it because of the comfort and care? Is it because we really believe that they would advise us in an unbiased manner? Is it because we feel that they would give us the correct advice based on their experience? Is life only about doing what benefits us? One of the most important factors in every task we do, involves understanding the benefit that doing the task gives us. Obviously, why would we want to do something which may not help us in our personal or professional lives? 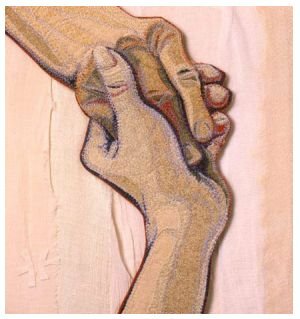 As someone has said, “First think of yourself before thinking of others.” Why waste one’s time in doing something which may not even have a personal benefit? But is life only all about the benefits we earn? Read on! Benefits are a very important part of any task we undertake whether its as simple as deciding to take a car to work rather than expending all our energy walking all the way or as complicated as learning some special softwares to help us go higher up the ladder in our organization. Whenever we are taking up a task, the first thing we ask is, “How will it help us?” That’s how it should be. Why would we want to do something which may not at all be useful in our present or our future? These benefits will help us realize our future goals, aspirations and dreams. 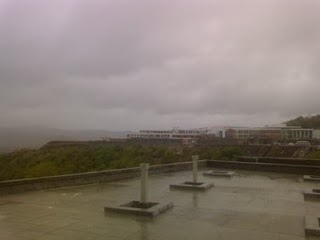 Monsoon at SIBM Pune Lavale Campus! This is the monsoon at SIBM Pune, Lavale Campus – Can surely give Lonavla, Mahabaleshwar or Khandala a run for their money!!! !